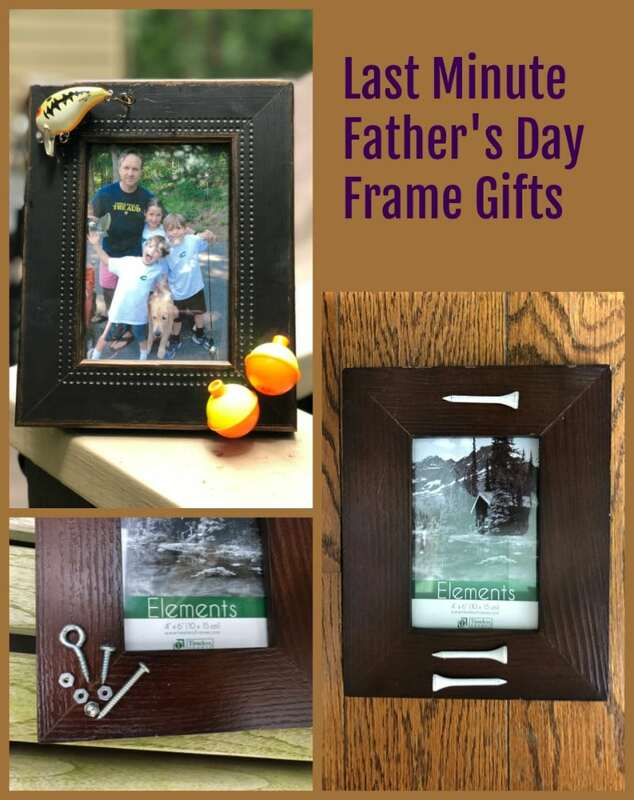 Don’t forget dad this weekend and get the kids involved in making homemade fathers day gifts. Fathers Day is this Sunday. Do you have gifts ready? 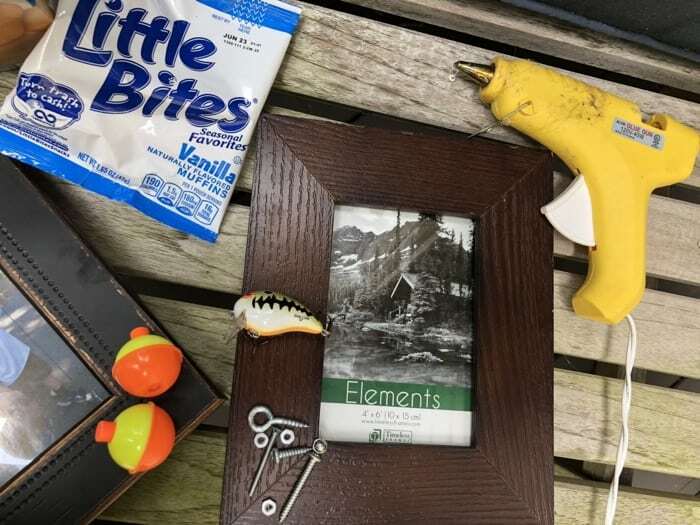 No worries, we have a list of last-minute DIY Fathers Day gift ideas that won’t take much time and the kids can help to make them. Of course, we have some yummy treats for the kids to eat while they are crafting. 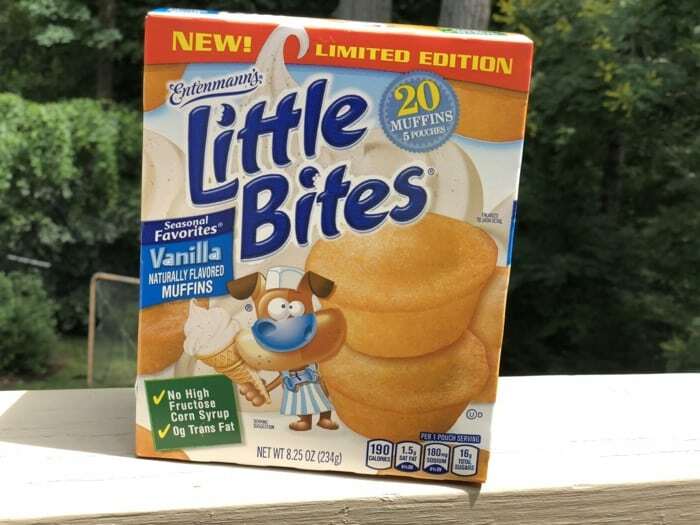 Have you seen the new Limited Edition Entenmann’s® Little Bites® Vanilla Muffins? Keep reading for info about how to win $50 Gift Card and how to enter your dad into the Love Little Bites Father’s Day Sweepstakes. Not a big DIYer no worries, there is still time to buy these awesome fathers day gifts. Like the other Little Bites, the NEW Limited Edition Entenmann’s® Little Bites® Vanilla Muffins are a convenient, delicious snack the whole family will enjoy and will keep everyone #smilingtogether! They taste like mini vanilla cupcakes and they would be great cut in half with some mixed berries and whipped cream too. 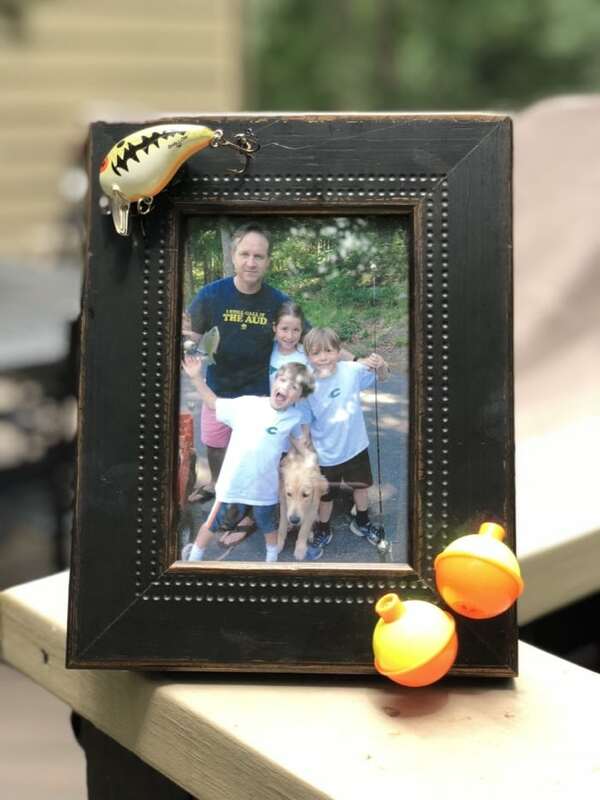 But let’s not forget dad, with this super easy last minute Frame idea. For the handyman in your life. 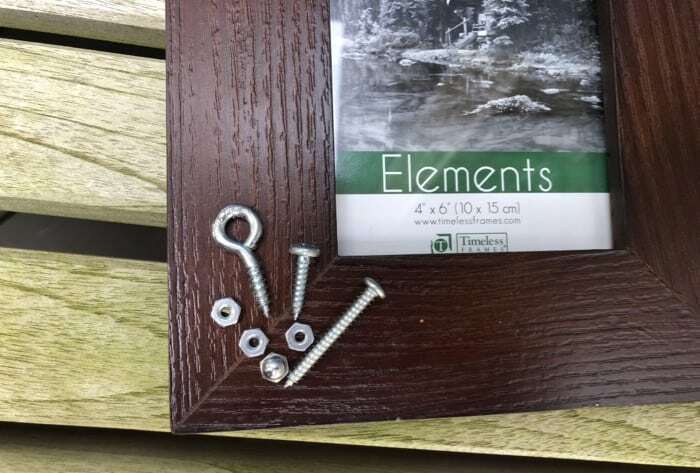 Add some nuts and bolts to a frame. To make dads feel extra special this year, Entenmann’s® Little Bites® is treating 10 lucky guys to an Entenmann’s® Little Bites® Muffins tie and a coupon to purchase the beloved snack, and five first prize winners will receive the tie, a coupon and a $100 Amazon gift card to purchase any items they’ve been longing for through the Love Little Bites Father’s Day Sweepstakes. Themed Sand Buckets: also good for upcoming beach vacations. BBQ APRON: Have the kids paint on an apron with fabric paints and then use it as a wrapping for bbq tools, sauce or any other kitchen supplies the receiver might be interested in. NOW enter to win a $25 digital gift card, along with three coupons, each valid for $5.00 off the purchase of Entenmann’s® Little Bites®. Enter the Rafflecopter below. What are you doing for father’s day this year? Share your ideas with me. You can easily adapt these 12 Easy Homemade Teacher Appreciation Gift Ideas under $10 for dad too. I’d like to make the Golfer frame for my dad. He plays as often as he can! I love the one with the golf tee my husband plays golf all the time. 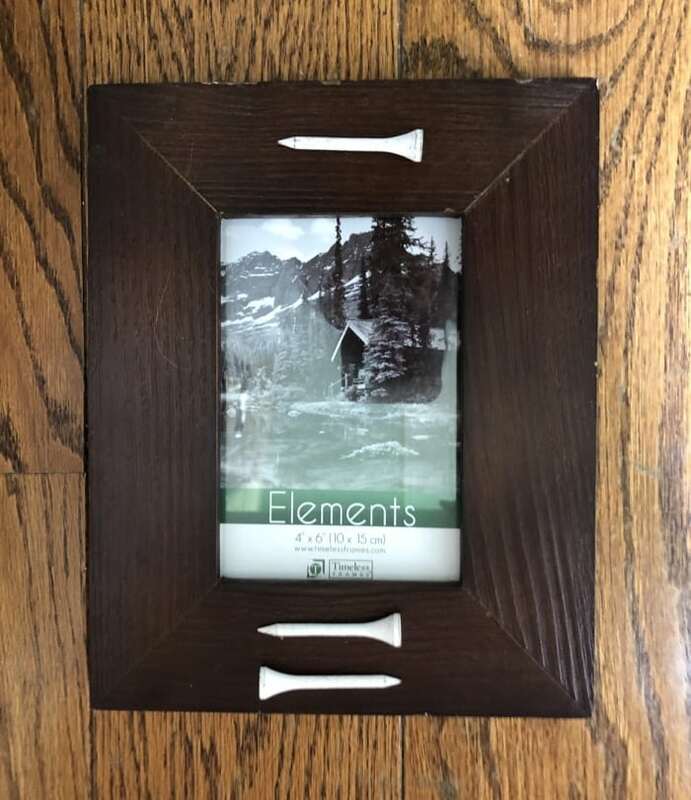 I like the golf tees frame. This would be great for my husband who loves playing golf. I like the fishing frame to make. I’d like to make the fishing lures frame. Thanks for the giveaway! Such a cute idea! I think the handyman idea is so cute! I would definitely do that one! It fits him perfectly! I love the white nails! I think I would use a gray frame. The fishing frame is so neat, I’d love to make it myself. It seems like there are so many ways to make it unique, either with bobbers or lures. I like the golfer frame. I would love to give my dad the handyman frame with the nuts and bolts. I would like to make the golf frame. Those are cute ideas! My fiance’ is a painter so I would have to think on it. I love the fishing frame that is so cute. I would make Fishing Lures frame. I would make the golf frame. I like the handy man frame. I would like to make the golf frame for my husband! We are a DIY family, so the one with nails and screws would be the most appropriate. I would like the frame with the tools on it. GREAT ideas!! I love the round of golf … WITH the kids 😀 that is awesome! !